Got 10 minutes and 1/2 yard of fabric then you should make an infinity scarf! Infinity scarves are one of my favorite things to sew this time of year. They are cozy, make comfy errand running outfits look more put together, and make for great gifts. 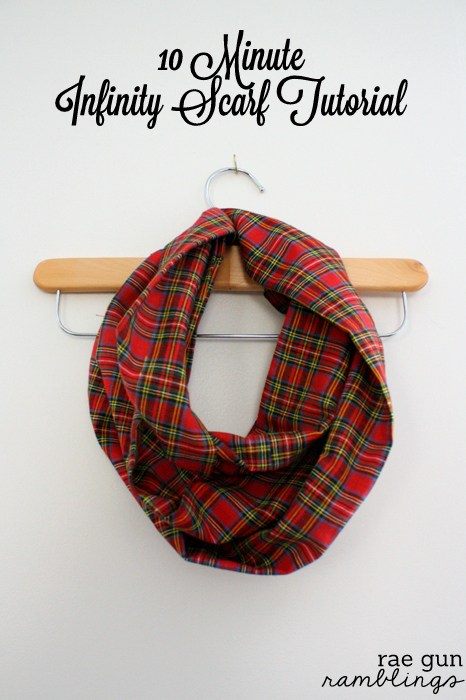 Go get the infinity scarf tutorial from Rae Gun Ramblings now! Make a kid's pillow bed the cheap & easy way!